The BBC has developed an experimental service aimed at people who want to spend their time online in a more productive way, either learning about new concepts and ideas, or getting a new perspective on topics they are already familiar with. 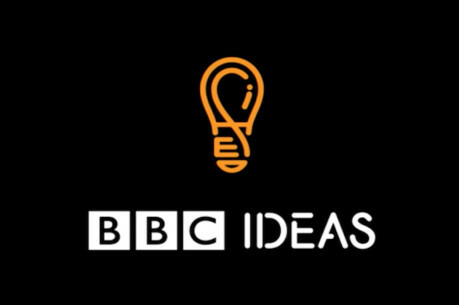 BBC Ideas launched in beta on 11 January, and features 'short films for curious minds', exploring topics such as tips for work-life balance, teaching ethics to driverless cars, a brief history of populism or whether all people should be able to write Chinese. Some of the videos are produced in-house by the editorial team of five behind BBC Ideas, who also works with other teams across the BBC to "unlock existing material" such as radio programmes, TV documentaries and digital video series. The initiative also works with independent production companies and freelancers, and has partnerships with organisations such as Open University, Research Councils UK, Intelligence Squared and Nesta. Cordelia Hebblethwaite, commissioning editor for BBC Ideas, said the concept did not stem from a desire to reach a younger audience in particular, but rather from a need to serve people who are looking for digital content from which they can learn about changes taking place in the world. "For this project we've done a lot of audience research and the message that comes out incredibly clearly is that we've got swathes of the population who are quite global in their outlook, they're savvy, they 'snack' and get their news from all sorts of different sources, but they want to improve on themselves. "They want to find that what they're actually consuming is enriching and will help them in their own lives, that's one of the things we found, so this is very much trying to meet our audience's needs that maybe are not being fully fulfilled right now, with material that is digital-friendly but really enriching." The videos can be up to 15 minutes in duration, and the existing ones on the website have ranged between 90 seconds and eight minutes long but there are no set rules, she added. The length of the videos will depend on the topic and the feedback from the audience, and being in beta means the team can iterate and adapt as they go along. "It's based on audience needs rather than us at the BBC saying 'this is what you need, it's going to be good for you'". As well as the BBC Ideas website, the short videos are showcased on the bbc.co.uk homepage and BBC News. They will also be shared through the BBC Ideas Twitter account, but the team will be "ramping up a bit more slowly" its distribution on dedicated Facebook and YouTube pages, Hebblethwaite added. The initial focus will be on pushing the videos through the channels the BBC already has on these platform, since they already have a large following. The BBC Ideas website has been designed to make it easier for people to explore and discover new videos whether they are browsing on desktop or on their mobile devices, and one distinctive feature are the playlists. Every short film produced is assigned to one or more playlists, which can be curated by topic ('Are you robot ready?' or 'Ideas for making the world a better place') or what the team has found most interesting on a given week. The aim is to provide viewers with content personalised to their consumption as they're watching a film, but also to introduce them to topics they might not necessarily be searching for. "We've found there seems to be a high rate of people watching all the videos within a playlist or watching at least other videos in it when they're inside that playlist. Everybody knows the digital video environment is difficult to work in and attention spans are very short, so we want to have a place where people will spend time, come back to, and that hopefully they will get into the habit of going to the BBC Ideas website because every time they do so they find something new and different. "One of the things that I think has been difficult for a lot of news organisations in recent times is that with a platform like Facebook, your videos can do really well but they sort of disappear after a while so this is like a home where we can put our material and continue to showcase it so it doesn't disappear from someone's feed after that initial rush around it. "It can be something people discover and watch at a later date, and most of the material we're producing is relatively evergreen so we hope it will have a decent shelf life of a couple of years maybe. So that's very much one of the aspirations – that it becomes a good home for this material and for other material from across the BBC." The videos currently available on BBC Ideas include material made by BBC Newsnight, BBC Future and BBC World Hacks, and the team is working with Radio 4 and BBC Four for upcoming films that showcase parts of radio programmes and TV documentaries in an appropriate format for a digital audience. The second commissioning round for independent companies is currently open until 5 February, and the team is interested in different creative treatments for the videos as well, not just animations. Hebblethwaite said many of the people who submitted ideas that got approved in the first round prior to the launch came from independent producers who hadn't done any work for the BBC before, so this is also a way to "tap into new creative talent". Update 29/01: The deadline for the BBC Ideas commissioning round has been extended until 5 February.